Marc Márquez is still the ‘Kaiser’ of Sachsenring. The Honda rider today took his eighth consecutive pole position on German soil, a session that has been marked by rain, which has conditioned the two MotoGP qualifying sessions of this German Grand Prix, and the poor performance of the Two official Yamaha, who will start tomorrow from third and fourth row. The morning began with the totally dry Sachsenring track. 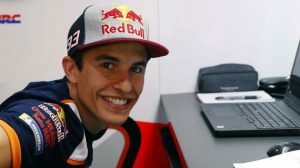 Marc Márquez, who has already won seven consecutive victories here, was in charge of leading the third free practice of this German Grand Prix, setting the fastest lap of the weekend with a 1’20.745. 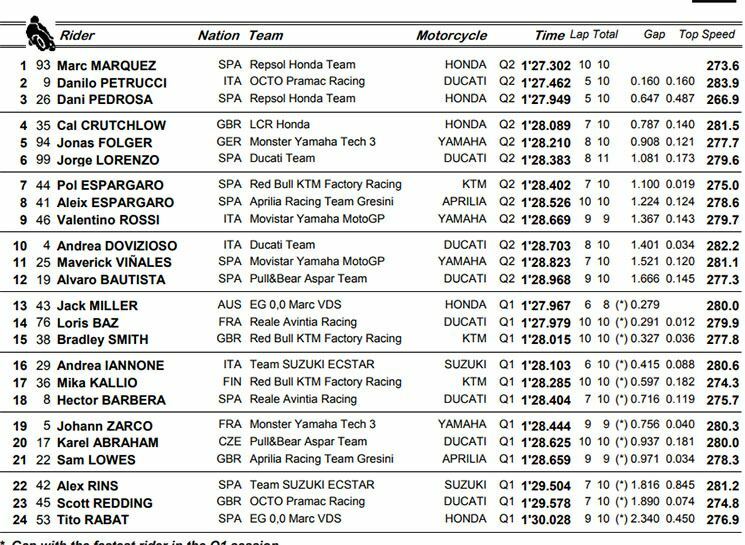 Maverick Viñales stayed close to the Honda rider, only 170 thousandths, a top 3 that closed the pilot Jonas Folger to almost half a second of Marc. The #93 also dominated the FP4, a session in which Márquez took advantage to check the wear of the soft tire in a race pace, finishing first with a 1’21.822 ahead of his teammate, Dani Pedrosa, who yielded a tenth To Marc. After the free practice, the first qualifying session of this German Grand Prix started, and it did so with the track totally soaked after the rain made its presence in Sachsenring at the end of FP4. Danilo Petrucci was the one who best adapted to the delicate state of the German asphalt and established the best time in this Q1, ahead of a Pol Espargaró that gave the surprise in Germany and obtained the pass to the Q2 to the controls of his KTM RC16, Displacing Jack Miller from the second position. After 14:30 in the afternoon the Sachsenring pit-lane opened again to start the second and final qualifying round. Petrucci, who had already been the fastest in Q2, started leading this second qualifying with a time of 1: 27.462, followed by Dani Pedrosa. The official Yamaha suffer in the first part of Q2, with Valentino Rossi and Maverick Viñales occupying the last two positions temporarily (11th and 12th respectively). With four minutes left, Marquez is second, separated from Petrucci by just over two tenths. The one of Cervera does not give up, and a couple of laps later completes a great return and puts itself in position of pole with a advantage of 19 thousands on the Italian. Taking advantage of improved track status over the last two minutes, most riders put all effort to try to take the pole in Germany. Rossi, who was one of the few who pitted, improved slightly and became ninth. Petrucci also started to score in red, but finally failed to take Marquez off the pole in Germany, the eighth in a row for the Spanish rider at Sachsenring. 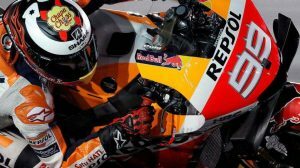 Márquez and Petrucci will be accompanied tomorrow in the first row by Dani Pedrosa, who has finished more than six tenths of his teammate. The top 10 is completed by Crutchlow (4th +0.787), Jonas Folger (5th +0.908), Jorge Lorenzo (6th +1.081), Pol Espargaró (7th +1,100), Aleix Espargaró (8th +1.224), Valentino Rossi (9th +1,367 ) And Andrea Dovizioso (10th +1.401). 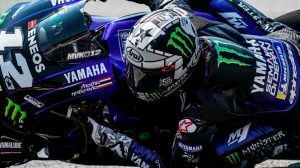 Maverick Viñales will finally start from 11th place, just like Assen.